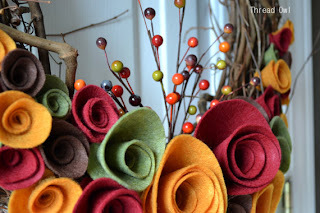 If you are looking for the Thanksgiving Inspiration Event click here! 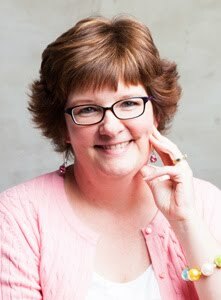 This post is part of a blog hop in tribute to Cath Edvalson. You should have arrived here from Tyra's blog, Just Tyra. Cath wrote a very heartfelt goodbye post and since I can't say it any better than she did, I'm going to turn her words to us right back at her! It has been an honor to have you as a part of your lives, Cath. And though we will miss the Moxie Fab World and the role it has played in our lives so very much, we will always cherish the good times we have shared, the support you have offered, the inspiration you provided us, and the love and respect we feel for you, now and always! The Moxie Fab World has been a rare and wonderful gift in our lives, and so have you, my moxie fab friend. Thank you for the inspiration you gave us, the love you have shared, and for helping to make our lives so incredibly rich. It will always be a moxie fab world! It's a wonderful coinkydink that the challenge opening today at Less Is More is one-layer thank you cards, so I'll be entering my card there. Thank you, Chrissie and Jen!! At the end of my post is the extraordinary list of participants showing their love for Cath today. Next on the hop is Jen of Newton's Nook Designs. That's a lot of hopping to do, so I won't keep you. By the way, you don't have to hop through the whole list today. Your poor little bunny legs couldn't do it! Visit the participants at your leisure and enjoy this tribute and the mountains of inspiration for days and weeks to come! As always, thank you for coming by the Playhouse and special thanks to you if you take the time to leave a comment and/or join as a follower! Please let me know you came by, so I can be sure and return the flavor! I've edited my post to remove the 285 participant links so you don't have to scroll down so far to add your comment. 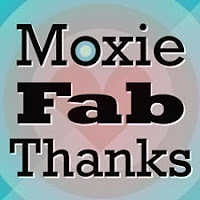 If you would like to access the full list, please click here and you will be directed to Moxie Fab World. Thank you! Fab card Darnell ...love that you made the sentiment ...perfect! Darnell, I knew your post would be as lovely as ever...and it is! Your card for Cath is perfection...she is sure to love it! Great card - that was one of my favourite triggers! What a fun card!Simple yet really effective. Beautiful card and lovely tribute!!! great card!! She will love it!! What innovative use of a spiral stamp. So simple but eyecatching. Cathy has inspired thousands and your right she will live on by those she has inspired, brilliant use of those tiny stamps, so very creative, I can feel the love you created in this card, thanks for sharing, hope you have a wonderful weekend, (((( BIG HUGS ))))..
What a fabulous card, Darnell! Love! Great card,Darnell! Love your creative sentiment! Darnell, your card is just adorable! 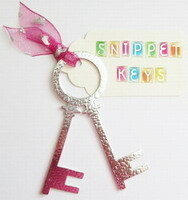 Love your playful and cute personalized sentiment! Love that you went back to a Tues. trigger for this FABulous card Darnell!! What a great moxie fab card, and such a nice tribute to Cath! Love all the colors!! such the perfect card! Love how you were inspired! Such a Sweet Creation...Love this!! This is just SO sweet, Darnell - especially the personalized sentiment (sediment!). I'm sure Cath is wiping away the tears as she reads of and sees everyone's love for her! oh soo pretty!! I love the sentiment!! You have created a lovely card for Cath. Love the clean design with your colorful blooms! Nicely done! Such a pretty card, Darnell! You did Cath proud! Moxie Fab card, Darnell! This is just so sweet Darnell! I love that you took one of Cath's inspiration photos to make her card, just beautiful! See you soon. Darnell, this is just the most Moxie Fab card! LOVE it! I was so upset that Paper Crafts decided to discontinue their paper magazine. How I looked forward to getting it in the mail and I love being able to carry it from place to place. Digital just doesn't do the same thing. But then to see that Cath is leavin,(and Moxie Fab just can't be Moxie fab without her no matter what they say)I can't imagine what they're thinking! Anyway, enough spouting off. I love your bright Moxie Fab flowers and I know that they delighted Cath! Darnell this card is so CAS and so amazing! I love what you did with your inspiration photo! Fab combo of stamps Darnell, so effective, love it! What a sweet card for Cath. I'm sure she will love it. Seriously, so cute, Darnell! I LOVE the CAS card, and it's spot on message! Darnell I love your card for Cath! I know she will love it too. Love that you used a past Trigger! Great card, that was a favorite inspiration photo of mine. This is perfect. Just perfect. :) Love the colours and sweet, clean design. Very moxie! Such a lovely card, Darnell - Cath will love it too! This looks simply beautiful Darnell, so carefully stamped! This is such a lovely card! It's a great response to the trigger. Love the colours! Thanks so much for joining with the blog hop! You said it so well, but then again you always do, my friend. That card squeals happy. So sweet. What ARE we going to do for our daily dose of moxie fab however????? Ooooh...love how fun and colourful this is! Your post and card are so Darn(ell) COOL! Love what you wrote and how your card was inspired! You totally make me smile with your special Darn-ell loveliness! 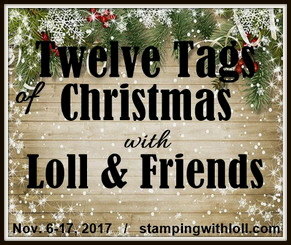 SO glad that you are part of this epic blog hop! So Lovely! What a great card indeed! Creative and fun! Yes, I'm one that appreciates the absence of the LONG list of names! It's wearing my finger out with scrolling so much! 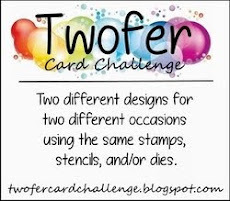 What a great take on the Trigger ~ a perfect moxie fab card for Cath! What a GORGEOUS CAS card!! Totally love the design and those bright colors!!! Wonderful tribute to Cath, Darnell! And your card is moxie fab! Love the flower curls. Oh my goodness, Darnell! Thank you so much for this beautiful card, and I am incredibly touched by the way you turned my own words back on me. There is some deep insight there I hadn't really been aware of before, and I have you to thank for it. love those flowers!! too clever! 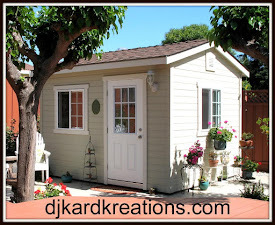 I'm slow at getting to all the blogs! :) This card is so cute, Darnell!